Learn how our optometry tips and advice can help with your future as an optometrist and get you into the right school. 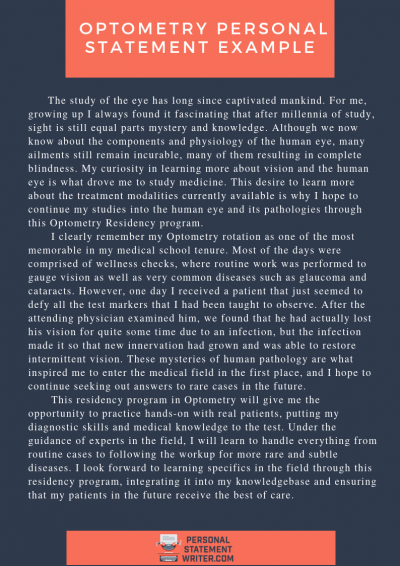 Why Do You Need Optometry Tips? Becoming an optometrist is not at all easy as there is a huge amount of competition for places in this field. With median salaries touching on $100k this is a field that many would like to enter. So if you want a career as an optometrist and are not sure where to start or what you need to do then our website is here to help you. Our aim is to provide you with everything that you need to help you select the right schools and craft the perfect application to get accepted to study for your optometry degree. Our site will not just stop there, we will aim to keep you up to date with what is going on in the industry and help you to stay informed. We will provide you with advice on which specific schools you should be applying to if you want to follow your career path. We will give you clear reviews of each school and show you why they may be the place that you are looking for. We will give you the information that you need to be able to decide which specific schools are going to be best suited to you based on your current qualifications and grades as well as your career ambitions. Choosing the right school for your degree is very important if you want to ensure that you are going to be able to afford and complete the course successfully. We will also show you how your choice of school can affect you employability and future earning potential. Not every qualification will allow you to practice in every country so it is important that you start planning which course you will follow from an early point in your education. Becoming a doctor of optometry is not a quick process and different schools and universities have slightly different expectations of their students. So depending on where you see yourself doing your final optometrist doctorate degree will define what other courses and degrees you will need to pursue. Our website will help you to plan out the educational steps that you will need to follow to ensure that you have all of the prerequisites completed to do that final doctorate. We will also help you to identify the exact documentary requirements that will be expected of you for your application from your initial bachelor degree through to a residency placement. Often you will be expected to make a significant application with various professional tests to show your suitability for a place. We will show you exactly what you will require. Applications for degrees and residencies need to be really outstanding if you are going to gain the places that you are targeting. Nothing short of perfection is going to help to ensure that you get that all important place. From resumes to statements of purpose we will show you exactly what you need to do to get noticed. Our experts will provide you with all of the advice that you need to ensure that documents such as your resume are targeted carefully towards your application and contain precisely what the panel will want to see. We will provide you with all of the advice that you need to ensure that you include the right things as well as writing tips to ensure that your writing is attention grabbing and effective. Many applicants fail to realize that their grades are not the only things that are important and not having an attention grabbing personal statement or a highly focused resume are going to be a real handicap to your application. Of course getting onto a degree course of your choosing is not the end of the story. Our website will provide you with tips and advice that is going to cover everything from getting that initial degree through to finding employment and staying up to date with the industry. So if you want to know how to write a killer resume to get a job or anything else about being an optometrist just follow our optometry tips for the best help you will find online!